John has been in Real Estate since 1990 and has attained his Branch Manager status through Massey University. He has been involved with Harcourts since 1998, being a founding shareholder in Harcourts Queenstown Real Estate (1998) limited, and now Harcourts Highland Real Estate Group Ltd. The company purchased the Cromwell franchise in July, 2009 and is now managed by John on behalf of fellow Directors, Kelvin Collins, Geoff Stevens, and Warwick and Marie Osborne. A consistent, high performer during his selling career, John is enjoying the added challenge of Team leader of a very experienced and talented Team in Cromwell. In his spare time John is an enthusiastic veteran’s cricketer and golfer. He is a past President of Otago Cricket and a former Director. Ask Cara and she’ll tell you that nothing beats the satisfaction of helping people achieve their property dreams – and it’s this philosophy that drives her towards her personal goal of being the first name you think of when buying or selling. Cara’s background in Property Management has proved a perfect stepping stone to a successful career in real estate. Cara along with her husband and three children live in Pisa Moorings and enjoy the lifestyle Central Otago provides. While Cara stands as an exceptional agent in her own right, she is part of a dynamic team. List with Cara, and you’re listing with an unbeatable combination of people and resources. But it’s the people behind the transaction that will always be closest to Cara’s heart. She makes it her daily mission to add value to the lives of all her clients by being genuine, reliable and helpful, underpinned by her enduring passion for customer service. By the time your property settles, Cara will have become so much a part of your life you’ll be glad to have her stay in touch. Inevitably friendships follow, referrals flow and the whole satisfying process starts again. The Cromwell community has enjoyed the benefits of Judy’s exemplary care, service and dedication for nearly two decades. Having first joined the Harcourts team in an administrative role in 1998, Judy moved into consultancy in 2005 and has taken pleasure in guiding buyers and sellers towards their dreams ever since. Judy is inherently reliable, supportive and hard-working, and she’s known for her commitment to the bigger picture in the lives of the people she works with. Personal integrity and a resolute willingness to go the extra mile have helped generate an impressive track record: many happy clients eagerly turn to her as their only choice when they come to buy or sell again. An assured understanding of her obligations and responsibilities as a real estate professional puts people at ease as Judy leaves no stone unturned in her sales process. She is a consummate professional and a prime representative of the Harcourts brand. She truly embodies the fantastic service Harcourts clients expect and she operates with complete confidence and expertise in our systems and processes. “I’m proud to be a member of the successful, positive team at Harcourts Cromwell. With cohesive teamwork and the best technology available in real estate, I’m committed to making every client a winner in each transaction.” Judy loves the rural community lifestyle. She and her husband Ken have a background in farming, bringing their children up in the mid-Canterbury countryside. A change of direction beckoned in 1990: they relocated to Cromwell and since then have enjoyed and appreciated the beautiful scenery, great weather and community spirit in this part of Central Otago. - Awarded an Emerald pin, recognizing and endorsing exemplary commitment with outstanding service and achievements - Bronze Sales Status at Harcourts for 2015 recognizing an outstanding level of performance in the real estate industry - Several Regional and National Awards during 2013 and 2014, all recognizing 'excellence' and 'best practice' - Bronze Sales Status at Harcourts for 2006/2007 recognizing an outstanding level of performance in the real estate industry - Silver Sales Status at Harcourts for 2006/2007 recognising an outstanding level of performance in the real estate industry - Bronze Sales status at Harcourts for 2007/2008 recognizing an outstanding level of performance in the real estate industry - #6 in the top 10 Sales Consultants Central Otago/Lakes Region 2006/2007 - recognising the individual achievement in standards of excellence and best real estate practice. - #9 in the top 10 Sales Consultants Central Otago/Lakes Region 2007/2008 - recognising the individual achievement in standards of excellence and best real estate practice. When buying or selling property, you want to know that you’re working with people who are knowledgeable, experienced, helpful and trustworthy — and who prioritise your sale success! Kate embodies these traits and repeatedly generates successful results for her clients. She entered the industry in 2014 and her passion, bubbly personality and capacity for real estate knowledge have seen her quickly make a name for herself and receive the Harcourts Rookie of the Year Award, as well as recognition for her high number of sales. 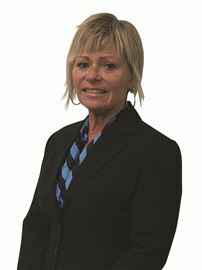 She’s joined Alister Stuart to become part of Team Stuart: Alister has lived in Cromwell since 1976 and has sold real estate here for more than 30 years, gaining numerous awards and accolades along the way. You can’t buy that kind of experience! Team Stuart was recently named No.1 for sales (2017-18) in Highland Real Estate Group, which consists of six offices throughout Otago. And, not only that, but they were recognised as the Harcourts No.2 for sales throughout the entire regional South Island (2017-18) —an achievement they’re extremely proud of. So how does Team Stuart generate this level of success? They work together to provide a seven-day service that’s efficient, accessible and professional. They enjoy working with all different people and they love to have a laugh — which is vital in any field of work! They specialise in marketing your property to bring in the best possible buyers; negotiating with other parties to get a premium result; ensuring all deadlines are met; and keeping in touch with local and national trends so you’re working with the most informed consultants around. They also offer a buyer service that’s second to none. With regular updates and viewings plus extensive market advice and information, Team Stuart supports their buyers from day one. They want to help you find the property you’re looking for and assist you every step of the way —they’re 100% committed to providing great communication, excellent service and a fabulous outcome for every buyer. A great real estate result can and should be quite simple. That’s where Team Stuart comes in! Before entering the real estate industry in 2004, Ken spent more than 35 years in agriculture. Based in mid-Canterbury with his wife Judy and their two children, Ken was mixed-farming and developing a nursery of more than 100,000 trees with an employment of up to 50 staff members. A change in lifestyle beckoned and, in 1990, they relocated to Cromwell. When he joined Harcourts in 2004 as the rural and lifestyle consultant for Central Otago, Ken’s long-standing involvement in the primary industry granted him a far superior understanding of buyers and sellers. His first-hand experience offered invaluable insight into the rural sector as well as extensive knowledge regarding stone fruit production and viticulture which is so prominent in this region. Now operating in residential real estate as well as in the rural sectors, Ken has received national and local Harcourts awards for excellence and best practice, which he appreciates as a reflection of his integrity and willingness to go the extra mile for buyers and sellers alike. Clients value his dedication to offering genuine advice and professional guidance, as well as his industry acumen and familiarity with the ins and outs of completing a real estate transaction. Ken has been a committed sportsman throughout his life, playing rugby at representative level and now coaching in the Central Otago area, including the Cromwell Premier team and the Otago Country representative team. He’s now enjoying playing golf and being involved at committee level at Cromwell Golf Club. I thoroughly enjoy my role as Property Manager and have been with the Harcourts team since June 2016. I have an in-depth background within the Property Management industry having owned my own rental properties. My expertise lies in problem solving as well as optimising rental returns. Prior to joining Harcourts, I was checkout supervisor at Cromwell New World and have also owned pubs throughout the lower South Island. I currently have a top quality database of tenants and thrive on expanding my already successful portfolio. Red Hot - You Bet! This Home Has It All! How Big Is Your Dream! Your Section Search Is Over! Dreaming of Summer time fun? Magic on Marsh - AUCTION ! Price reduced for URGENT sale! Be Happily Housed in Hopgood! Titled and Ready to Go! Owners Gone - Must be SOLD! Kiwi Lifestyle at its Best!